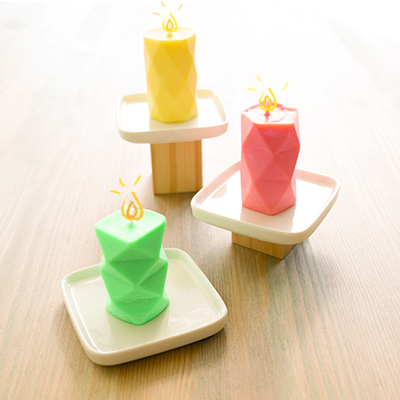 As a product designer at KiwiCo for 3 years, I worked on a number of product lines. 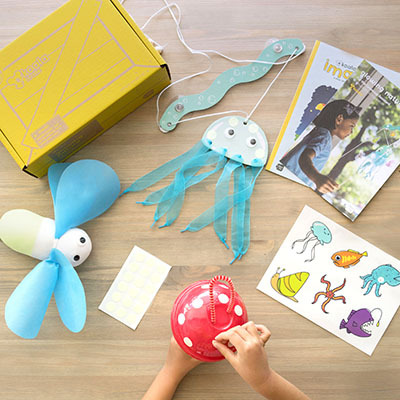 When we launched the new product line Tadpole Crate, a toy subscription for toddlers 0-2 year olds, I led the product design from ideation to production for several of the crates. Each crate is themed and includes a toy as well as supporting educational content to guide the parent. The Main challenges for this product line were making sure that the projects were engaging, educational, and passed safety testing standards. Kids this age love to play with balls. 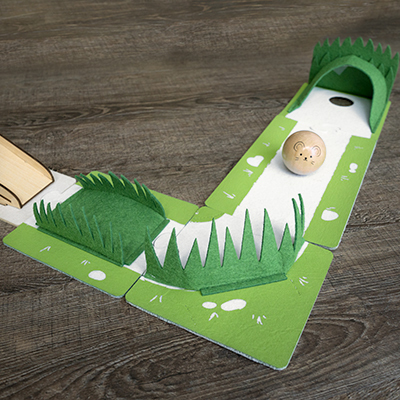 Since most of the products on the market lacked exploration and multiple ways to play, we wanted to create a toy that introduced early science concepts and allowed for experimentation. Some of our early ideas included mini golf and bowling, but after observing the toddlers play, we realized that the result needed to be more instantaneous for them to enjoy. Once we had the idea of a marble run, I experimented with various materials from cardboard to wood to find a combination that was cost effective, easy to manufacture, and would fit in our standard box. 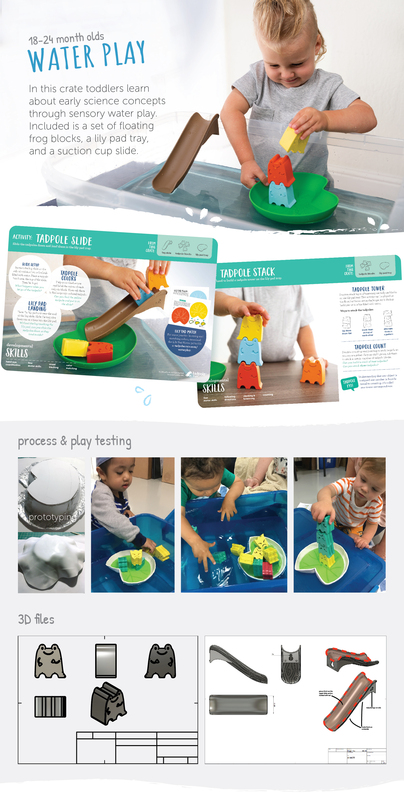 After our concepts were play tested and refined, we presented them to child development experts at Seattle Children’s Hospital for their feedback. 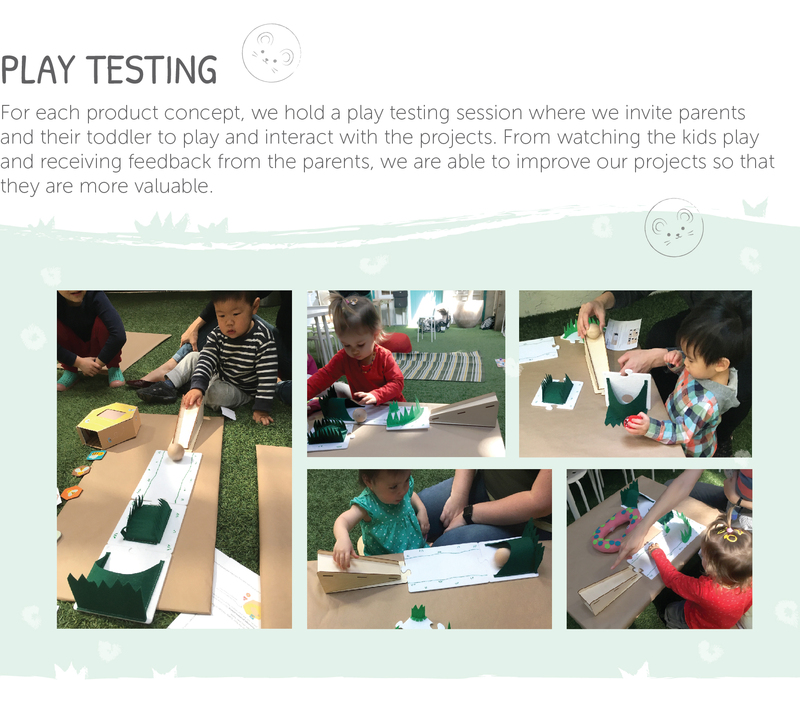 Their input helped us ensure that our products were developmentally appropriate and that our supporting content was accurate. Once the products were finalized, I worked closely with the editorial team to create activity prompts to go with the project. 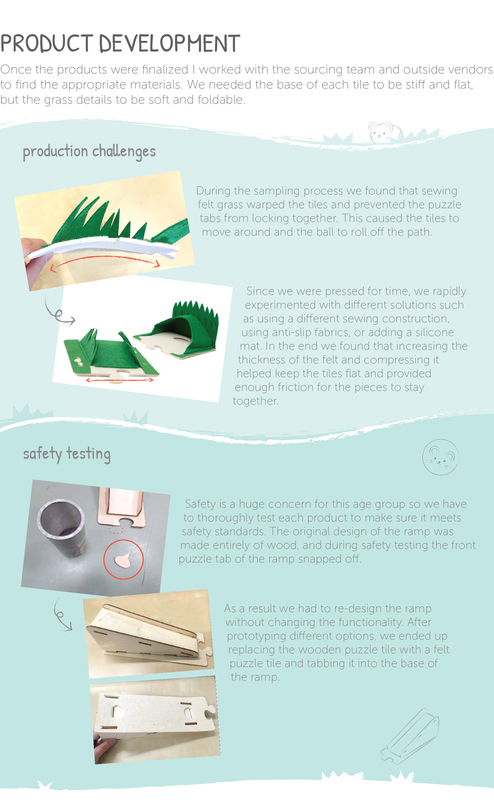 After each kit is sent out to customers, we receive customer feedback for each of the projects. The educational value of this product was well received. 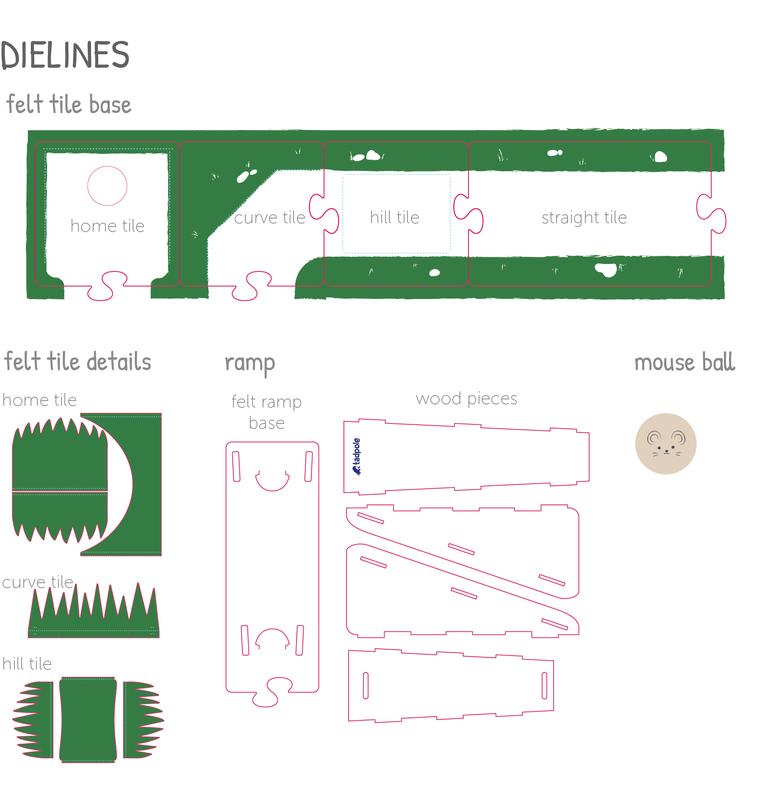 Check out some of the other Tadpole Crate products I designed!